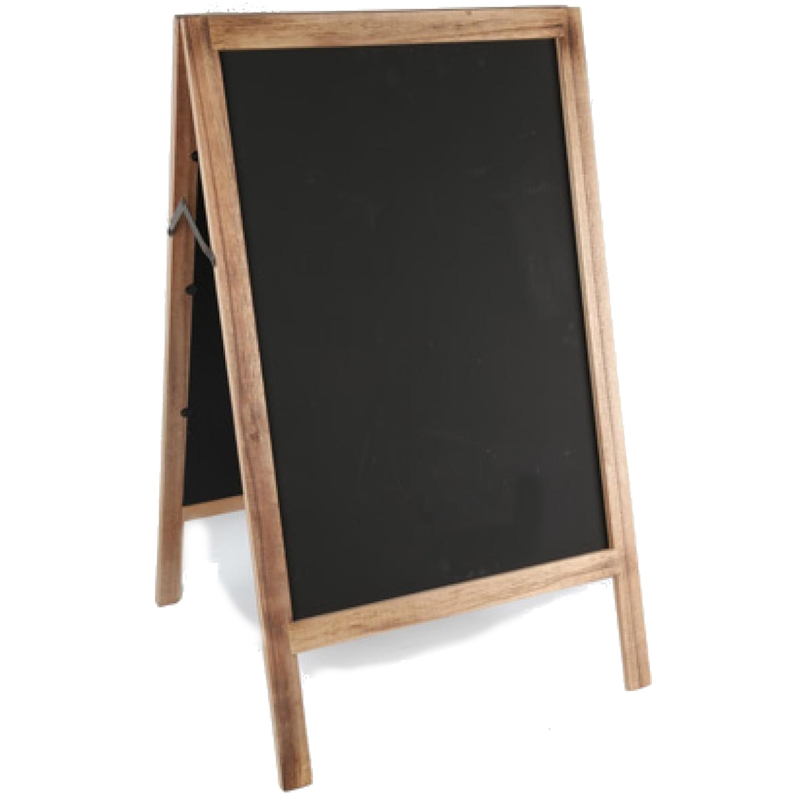 Functional pavement blackboard easel. This item is not a toy and is intended for the functional purpose of signage. Side hinges prevent the board opening too far. Double sided chalkboard sign perfect for shops, weddings, events.